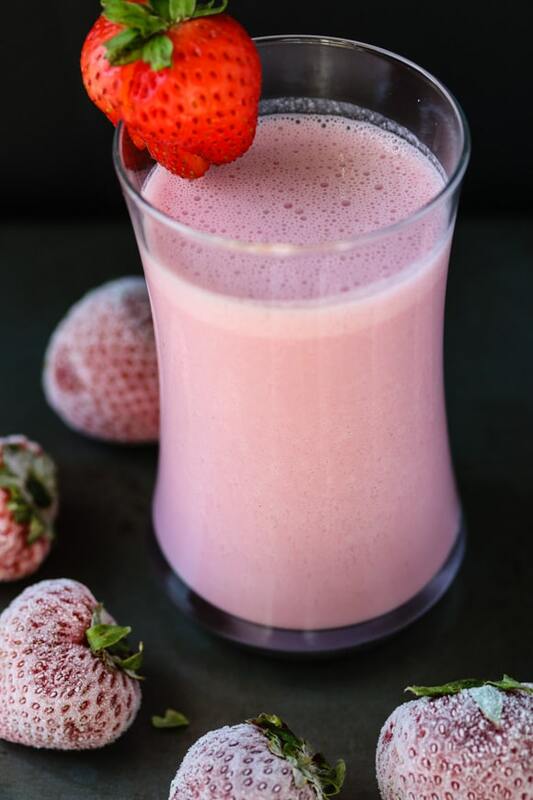 This Strawberry Cashew Milk is a quick vegan and dairy-free milk alternative that is as delicious as it is pretty! 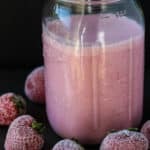 I almost always have a dairy-free milk ready in my fridge, especially for use as the base of smoothies or to go along with granola for an easy breakfast. If you know me at all, then you know I’m a chocoholic, but this strawberry milk makes a nice alternative when you’re tired of chocolate (can that even happen)? Ha! For an extra pretty shade of pink, I added a teaspoon of beet juice powder. Beet juice has been studied for its effects on athletic performance, but the jury is still out on that one. For now, I use it as a natural food coloring with the hope that it is providing some extra nutrition as well. Cashew milk in particular is extra-great because it doesn’t need to be strained like almond milk. In case you missed it, I shared a whole post about making cashew milk here. As long as you have a high-speed blender like a Blendtec (get a certified refurbished one), then you can make a cashew milk in less than a minute. 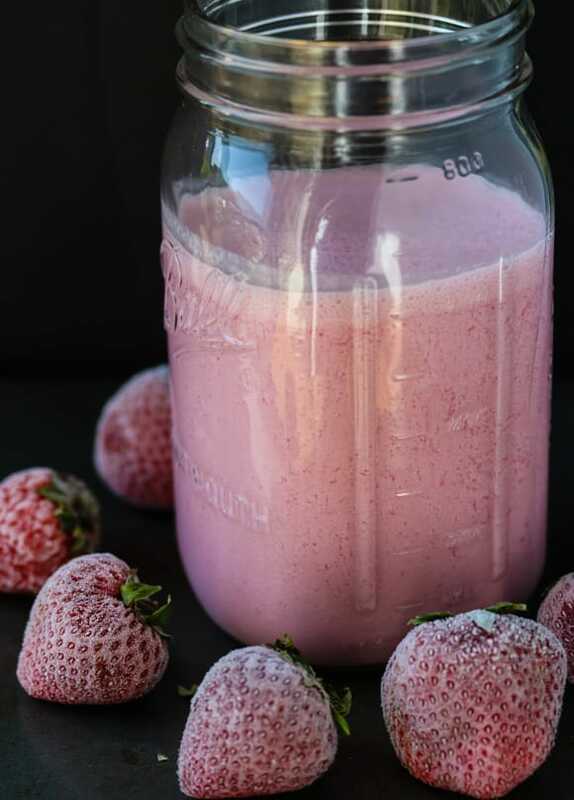 Despite how easy this recipe is, this dairy-free Strawberry Cashew Milk is one of those basic recipes that is just too good not to share with you. 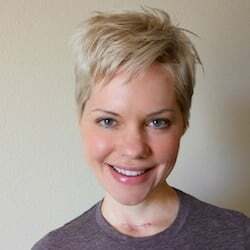 A great, dairy-free milk alternative. Combine the cashews, strawberries, beet juice powder (optional) and water in the pitcher of a high-speed blender. Blend on high for about 30 seconds, or until the ingredients are completely combined. Serve immediately, or store in the refrigerator for up to 5 days. Give it a quick stir before serving. Store this milk in your refrigerator in a tightly-sealed glass jar, and just give it a quick shake or stir before serving. My daughter is a smoothie fiend — I’ll have to share this with her. This looks amazing. I bet my kiddos would drink it all at once. 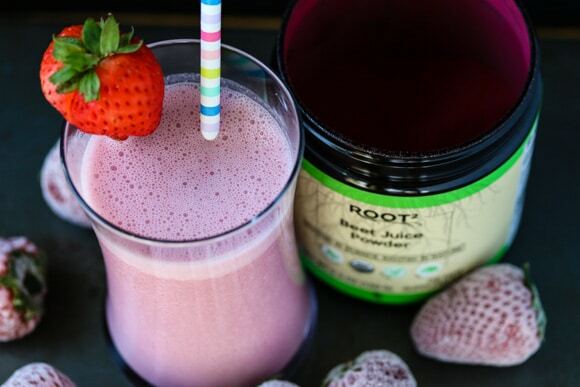 This sounds creamy and so perfect as a healthy drink! I would love a big glass! I love how easy cashew milk is to make. Love this strawberry version! Sometimes you just have to shake it up!